Middleburgh Tel (NY) Archives · Stop the Cap! Schoharie County has the dubious distinction of being one of the New York counties least well-served with high speed broadband service. 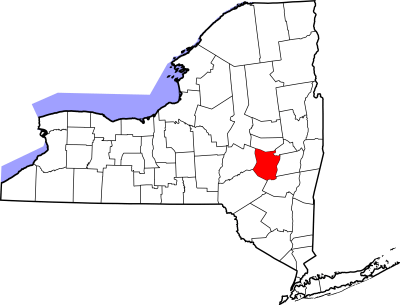 In fact, according to the Schoharie County Telecommunications Task Force, our county is ranked last in the Capital Region, located in and around the state’s capital city Albany. 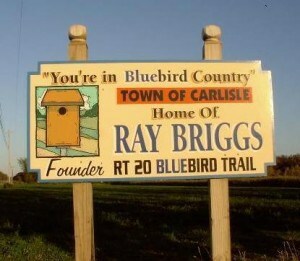 Last fall the Task Force concluded that almost half of the county’s residents had no access to broadband service at all, a point since disputed by one of the local telephone companies providing service to parts of the county, but regardless of who has access, residents are accustomed to taking whatever broadband service they can get. Schoharie County has just over 31,000 residents across its 622 square miles. It’s a beautiful place to live, especially along the southern parts of the county which lie within the Catskill Mountains. 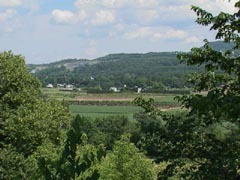 Several small towns, villages and hamlets dot the county, providing a rural lifestyle but within easy reach of Schenectady and Albany. Unfortunately, part of living in rural upstate New York is recognizing the reality of the digital divide. To our east, our bigger city neighbors enjoy access to Verizon fiber-based networks and Time Warner Cable’s Road Runner broadband service. Broadband is fast, plentiful and relatively inexpensive. But once pastures replace strip malls, it’s an entirely different story. In much of Schoharie County, broadband service is provided by locally owned Middleburgh Telephone Company, which has been serving most of our area for over 100 years. A few dozen employees cover everything from billing to repair and installation, and not just for telephone and broadband service, but also for cable television. Midtel Cable TV, owned by the telephone company, serves many areas the bigger cable companies forgot. Unfortunately, Middleburgh Telephone controls broadband, which means instead of providing cable broadband over Midtel, customers in much of Schoharie County are stuck with old-fashioned DSL service delivered by telephone lines. While the hometown feel of the local phone company makes you feel like a valued customer when you deal with them, the broadband products they offer leave a bitter taste in your mouth. MIDTEL.NET customers can look forward to an either/or proposition. Either endure painfully slow DSL service or pay an exorbitant amount of money for the kind of broadband service speeds commonly available in larger communities. While most residents are grateful for the optional higher speed services our friends and neighbors in other rural communities simply don’t have, the pricing makes it unaffordable for the vast majority of residents, who typically make due with the mSPEED $43.95/month service. Of course, those speeds are not guaranteed. Because I reside more than 10,000 feet from the local telephone company central office, I cannot really access any service plan above 3Mbps. The higher speeds simply would not work. You're in slow broadband country, too. To our north, Frontier Communications provides telephone and broadband service to residents in Fulton, Herkimer, Clinton and Essex counties, as well as the western part of Montgomery County and parts of northern Saratoga County. Frontier has taken ownership of several formerly independent telephone companies in eastern New York, as well as a few formerly owned by Rochester Telephone. Frontier actually does a better job than Verizon in rural parts of upstate New York in providing at least some type of broadband service. Large sections of the state still served by Verizon have no DSL or any other kind of broadband service. Frontier does seem to pride itself with providing residents with broadband service, but not always consistently. Stratford, Lassellsville, and Oppenheim, all within Fulton County are three communities with significant gaps. All are within or adjacent to the Adirondack Park, which covers a section of the Adirondack Mountains. At one point, several bypassed residents in Fulton County signed a petition and presented it to local Frontier officials, convincing them enough customers were willing to purchase the service to make it available to that neighborhood. Frontier and Middleburgh Telephone both share an attitude of requiring a “critical mass” of potential customers to make it worth their while to provide DSL service. Unfortunately, that cannot come fast enough for many underserved communities, whose local governments receive a steady stream of calls from residents wondering when broadband service will become available in their area. Where Frontier does provide DSL service in rural upstate communities, it’s slow and expensive. That pricing is before a $5 a month “modem rental fee,” and as least as much for taxes and surcharges. Add at least $10 to the quoted price to cover all of these fees. Frontier also likes to commit its customers to term commitments. My friends in Frontier service areas are strongly pushed towards one, two, or even three year “price protection plans”, as well as a backup and support service called “Peace of Mind” which can add another $13 a month to your bill. Certain promotional bundle pricing can lower some of these costs, but not enough to erase the disparity in pricing between rural broadband service, and that provided in larger cities within easy driving distance. information disparity for residents unable to access online information the rest of the wired nation takes for granted. So why do providers not provide universal access? It’s a good question for some opinion leaders in this part of the state. 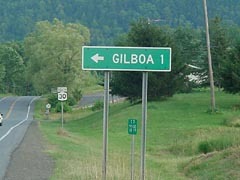 Gilboa, NY is just one of hundreds of small New York towns with "take it or leave it" broadband. Myers advocates for the same guarantee of access to broadband that Americans were given for electricity from the Roosevelt Administration’s electrification programs of the Tennessee Valley Authority and the Rural Electric Administration. Indeed, she could benefit from it, because her home in Summit, in Schoharie County, has no access to broadband either. Unfortunately, the New York State Public Service Commission (NY PSC) has been less than aggressive in advocating for such an approach. In fact, it has adopted a “free market” strategy and has become complacent and tolerant of the results: slow and expensive rural broadband, if it’s available at all. A broadband plan seeking to bring broadband immediately to 100 percent of the country may be ill-advised. A goal of 100 percent broadband deployment may not be economically rational with traditional, wired service. However, the evolution of technology, like third generation wireless, could provide more efficient and cost effective alternatives for ubiquitous broadband. This is a familiar refrain to defend market power of existing providers: someday the market will bring providers with a new technology that magically would bring affordable service to unserved or underserved areas, so therefore regulators and government should do nothing. the U.S. subscribership rate has sunk from 4th to 15th in the world in recent years, even as other countries with more affirmative broadband policies surge ahead. So what precisely keeps broadband providers from providing universal access and wiring all of their customers? Profit and return. The costs to construct extensions of their networks to reach even the most isolated customers isn’t worth the potential return, say most providers. 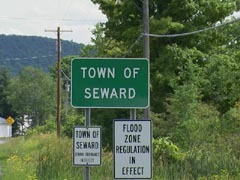 Could communities like Seward benefit from broadband stimulus funding? Before the Obama Administration turns on the broadband stimulus faucet, the emergency federal economic stimulus package provided more than seven billion dollars for “shovel-ready” construction projects across the nation. More than $175 million is targeted for New York state. Despite Albany’s usual circus-like chaos, dysfunction, and a recent state Senate coup d’etat, Governor Paterson, the Senate and Assembly managed to identify 32 broadband projects that could be eligible for grants from the federal fund. Competition for “free money” from everyone from educational groups to telephone companies to local municipalities is fierce, and will only grow more so when the federal broadband stimulus money begins to flow. Both Frontier and Middleburgh Telephone believe federal stimulus funding may help improve the viability of reaching their most rural communities. Middleburgh Telephone is even willing to partner with municipalities to provide service to areas it does not reach today, such as in Carlisle and Esperance. But just as important as availability, according to Lou Manuta with PULP, is affordability. Even where broadband is plentiful and less expensive than in rural areas, it’s still out of reach for many of New York’s poorest residents. Manuta advocates providing special “Lifeline”-type broadband packages to disadvantaged state residents, which offer very basic broadband service for a very low price. For residents in rural New York, change cannot come soon enough. Without it, even big states like New York will leave hundreds of thousands of residents behind, stuck with slow broadband at unaffordable prices. Jenny Pirro comes to Stop the Cap! as a consumer concerned about broadband service in rural communities. She is a lifelong resident of upstate New York, recently retired from a career in banking. She has been a customer of both Middleburgh Telephone and Frontier Communications. For privacy, Jenny chooses to write under her maiden name.